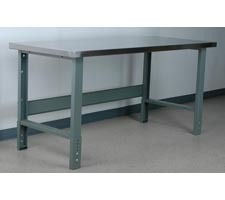 Offering the same quality hand-built construction of the fixed height workbenches, these manually height adjustable workbenches have the added benefit of being adjustable 5" in height (for an overall height of 34"-39"). Using an external leg cap and heavy-duty fasteners, these models are easy to adjust while still giving you a full 3500# capacity. Made of 1-3/4" strips of Maple that are glued and pressed together. The top is then sealed to protect against moisture and can be resurfaced or refinished at any time. This surface is constructed with (2) 3/4" particle board cores that are laminated together. The front is routed and a laminate layer is heated and wrapped 180º around the front edge. All other sides are laminated to protect the core from moisture. 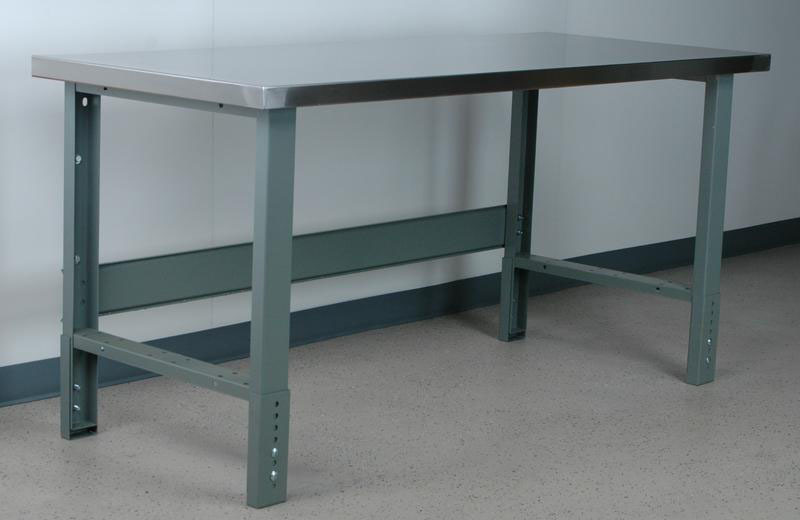 This benchtop is easy to keep clean and is constructed from a standard 1-3/4" hardboard wrapped with a 20 gauge stainless steel 304-4P skin. 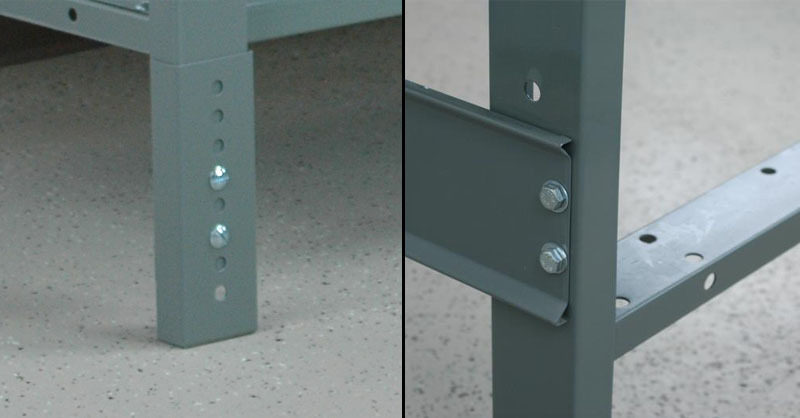 The hardboard helps protect the surface from dents and also keeps noises from resonating in the steel. 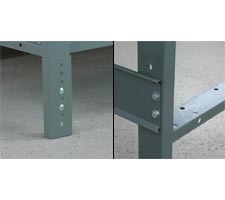 Add shelving levels to your workbench with these riser shelves. Shelf dividers & rear vanity plates also available. Stash your computer and all its gear out of the way with these workbench computer accessories. Plug in your most needed appliances with these outlet strips. 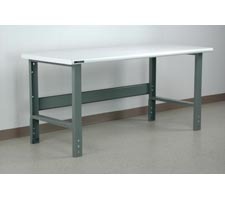 Add private storage to your workbench with these 23" long workbench drawer units. 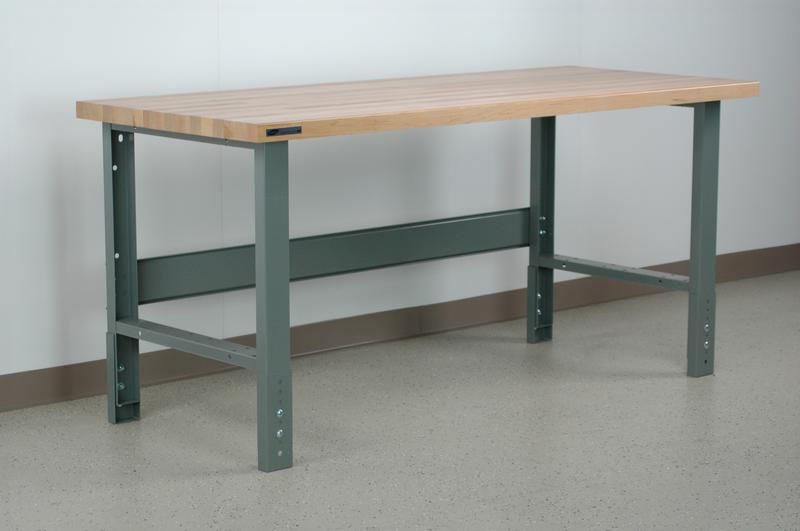 Add storage to the underside of your workbench. Choose from half or full shelves & dividers. 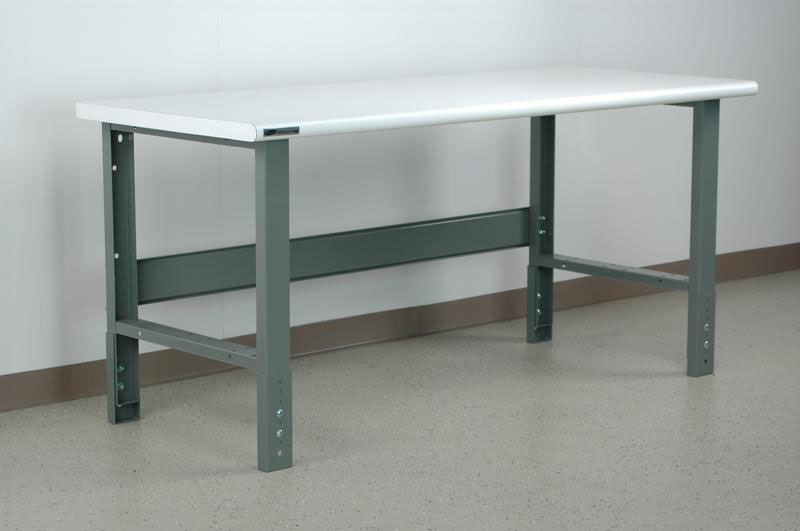 This 3500# capacity workbench was designed for easy manual height adjustment. I have three of these now. I use them in my warehouse for shipping supplies. They have been very useful and I can't imagine working without them anymore. 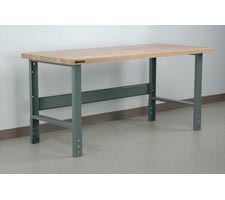 These are very sturdy tables - not like the ones you'll find at your local home improvement stores. Tom Moore was knowledgeable and patient. He was extremely helpful in ensuring that I ordered and received what I really wanted.